When Flight 189 crashes into the Severn Estuary, it leaves a raft of unanswered questions. How could ten-year old Amy Patterson have survived apparently unharmed, only to die of hypothermia? Who was the man found alongside her, a yachtsman who had obviously not been on the plane? How could such a high-tech plane literally drop from the skies? Why were certain passengers switched to this flight at the last moment? Coroner Jenny Cooper is drawn into the investigation, despite the fact that a distinguished judge is appointed to head an inquiry that would normally be within her jurisdiction. However, Jenny is never one to bow to authority and, under pressure from Amy’s high-powered mother, finds a way to keep herself involved. 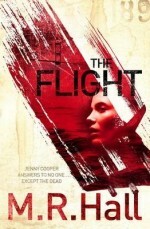 The Flight is the fourth in the Jenny Cooper series. I read the first two but must have missed the third, The Redeemed. 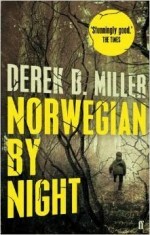 I enjoyed the earlier books more than this one and have been trying to figure out why that should be. Because The Flight gripped me almost as much as the others. I found it just as hard to put down at times. Nor was I put off by the rather lengthy descriptions of how airlines are organised and the technical side of flying. In fact I found the technical detail and explanations some of the best things in the book. “I couldn’t really engage with Jenny’s character either, this time round. As I read on I began to rather dislike her. She seemed so obstinate and negative. In general and on the plus side, it’s refreshing to have a protagonist who isn’t a detective. The insights into the workings of a coroner’s court are instructive and well written; this is true across all the books. Here too the plot is fast paced, at least in the beginning, but becomes more and more implausible and muddled. I never did discover what the helicopters had been doing at the scene. So what didn’t work? I think it boils down to the fact that this series is being a bit overworked. The Flight is book four and there are at least three more, one to be published in 2016. It’s all becoming too formulaic. Always Jenny battling against authority. Always some secret government agenda or other form of authority opposing her. A game of cat and mouse to see who will win. I couldn’t really engage with Jenny’s character either, this time round. As I read on I began to rather dislike her. She seemed so obstinate and negative. I found her stubbornness irritating and her depressive attitude wearisome. The bickering and carping that goes on between her and Alison Trent, her sidekick, is also more annoying than instructive. I began to feel that the author couldn’t like her much either, to have created such a dreary person. Always Jenny battling against authority. Always some secret government agenda or other form of authority opposing her. A game of cat and mouse to see who will win. I really hope that, in the later books, M.R. Hall gets back on track. In the first book, the fact that Jenny is mentally fragile, and addicted to popping pills, made her plausible, vulnerable and rather likeable. In the second book the author skilfully charted her mental progress, both triumphs and setbacks. These insights added an extra and welcome dimension. In fact so well observed were they that I was convinced that M.R. Hall was a woman. (And I’m not sure what that says about me). However in this third book, I get the impression that the author sees women as whiney or needy or combative – or all three. Reading the descriptions of the later books, on Amazon, it looks a bit more hopeful. At any rate in terms of plot. We may not be in for more of the same after all. The stories are intriguing – a link between a suicide and a child’s death from meningitis, the aftermath of a tragic house fire and the death of a young soldier in Helmand. They promise new angles and another direction. I look forward to reading them while hoping that Jenny gets a grip! A reader can only take so much whining before giving up.